Converse, Converse Rubber Shoes Company is a brand created in 1908 by the Marquis Mills Converse in Malden, Massachusetts. The best-selling model is the Converse Star, a shoe created for basketball players that has been successful thanks to the famous basketball player Chuck Taylor who wore them during his matches, to the point of being renamed the Chuck Taylor All Star. Since then, Converse shoes have gone through time, worn by different generations, never outdated. 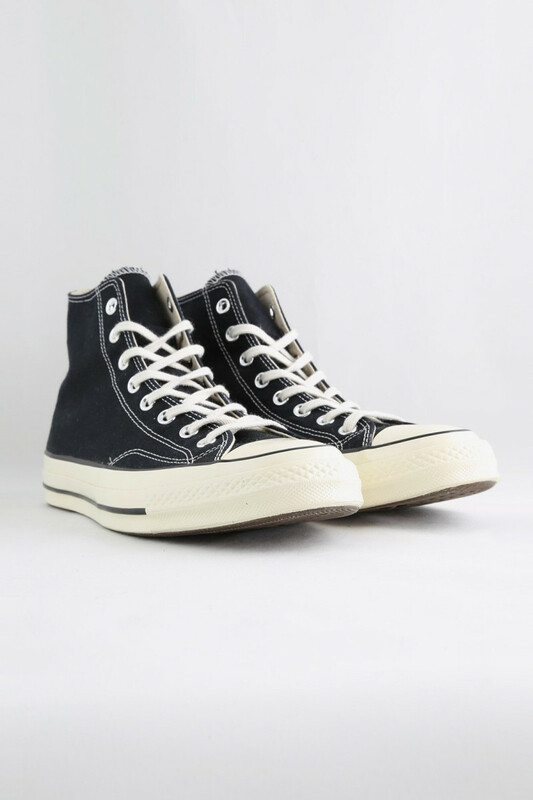 For several years, Converse has even reissued its original models like Jack Purcell and Chuck Tailor. For this Spring/Summer 2019 collection, Converse offers us high-waisted original pieces with technical materials like GORE-TEX and a line of low sizes with a very flachy white/black and yellow/red colorway that will be the must have.